Chocolate Orange – A light marbled sponge flavoured with natural orange oil swirled into our beautifully moist chocolate sponge. The trademark generous layer of chocolate butter cream is laced with natural orange oil running to create a match made in Sponge heaven. 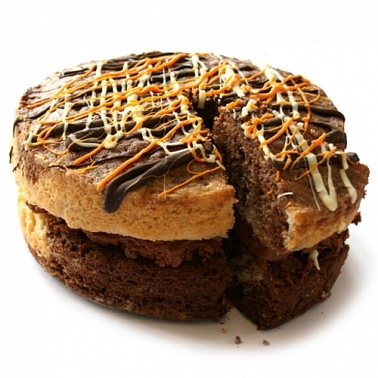 Our Chocolate Orange Sponge Cake, made with only the very best ingredients, is a 4 inch high swirl of chocolate and orange sponge held together with a sumptuously thick layer of chocolate and orange butter icing. you can order your cake online or speak to one of our customer support team 24/7 who will be happy to assist you in your order. Coffee Sponge cake is available in 2 sizes a 7 inch and a 10inch. Next day Coffee Sponge Cake delivery is available for UK mainland.